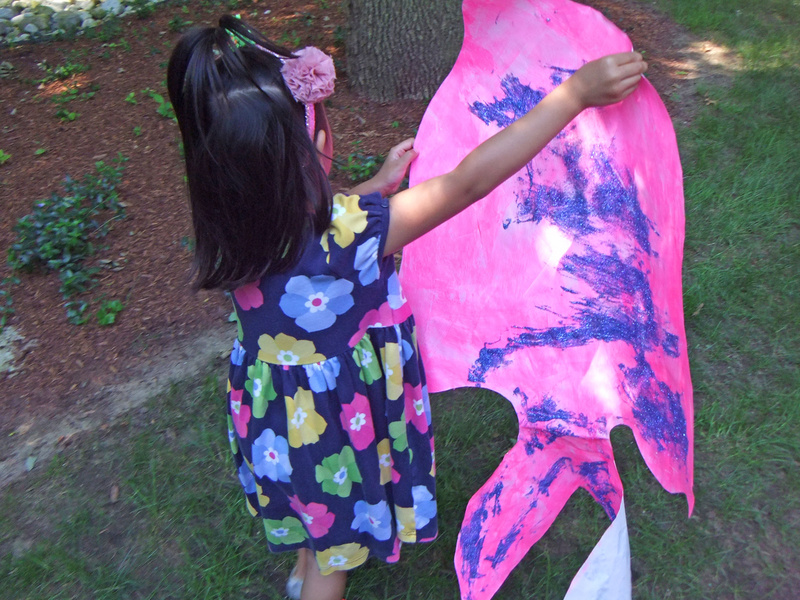 Decorate giant paper fish with fingerpaint, glue and glitter! 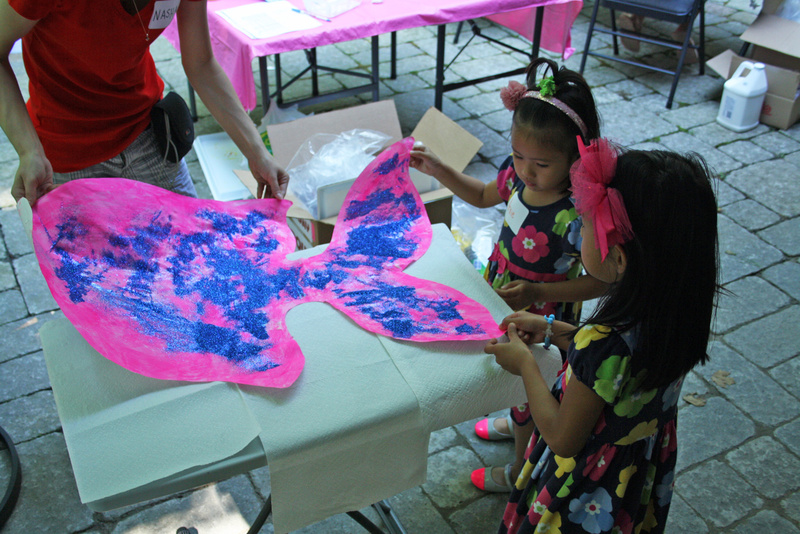 Our art campers painted and collaged several Big Huge Fingerpaint Fish paper projects. Check out their process below! 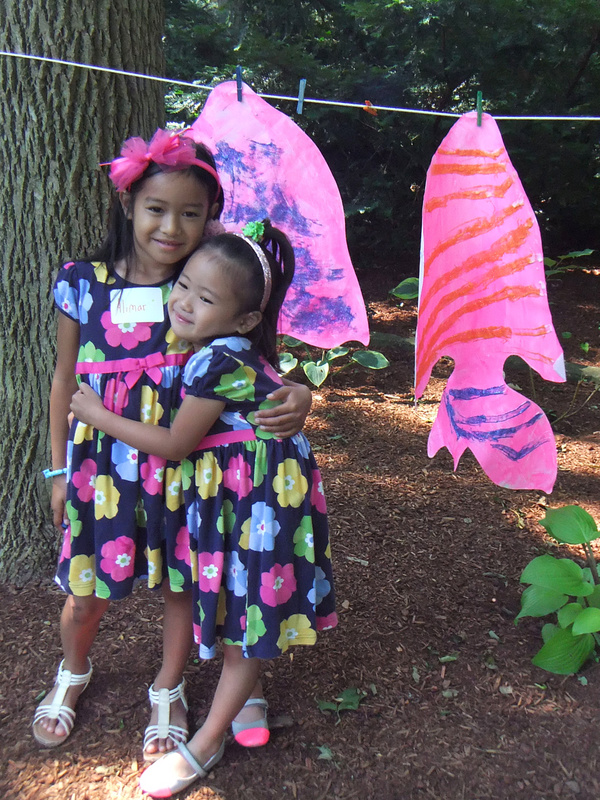 The R75402 Fingerpaint Fish is 3 feet long and about 2 feet at its widest point, making it a great canvas for group art projects! 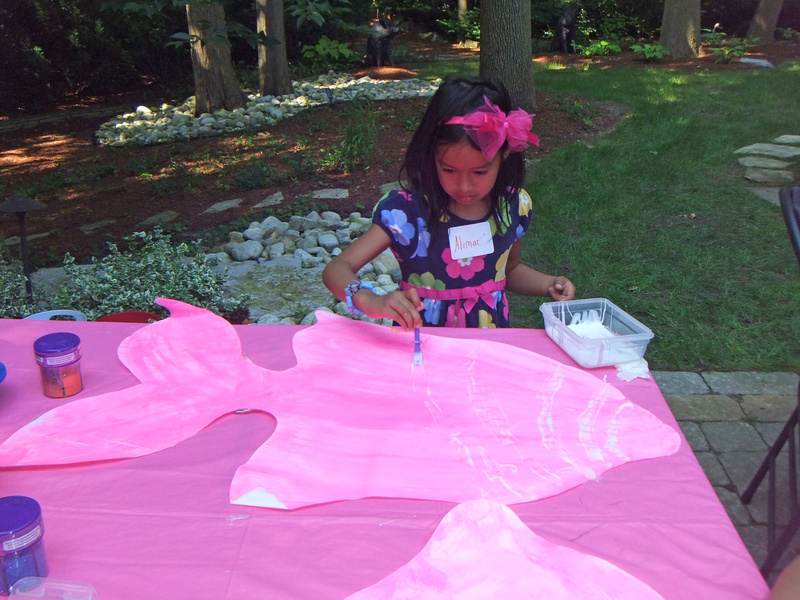 First we painted the Fingerpaint Fish fully on one side as a base for the next layer of art collage material. 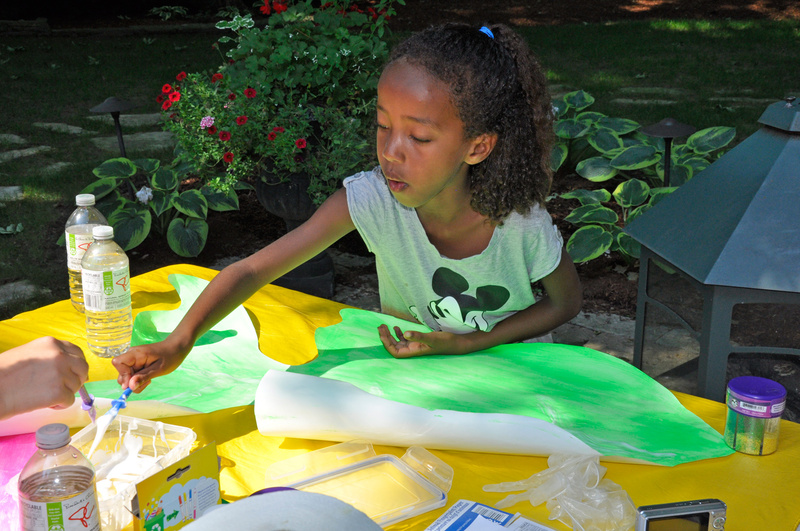 Use thick tempera paint or fingerpaint to saturate one side of the painting shape. 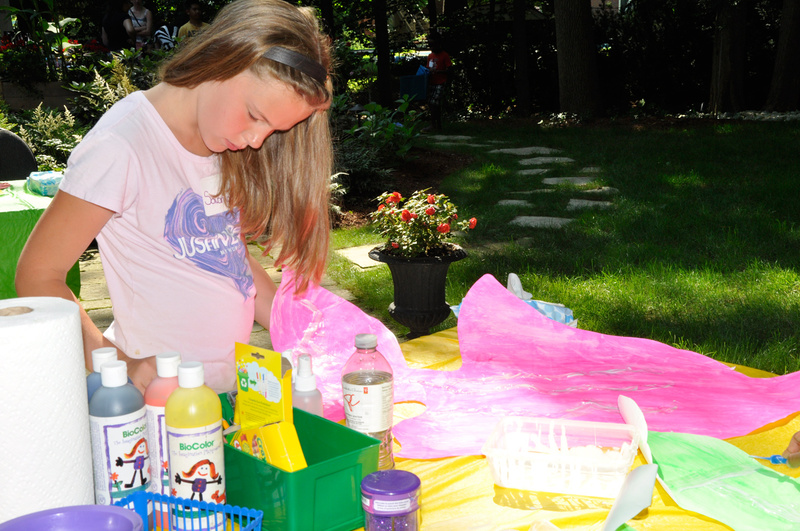 Next, we provided the campers with a container of glue. Use regular dollar store containers to keep glue intact between groups of students. You can place the lid back onto the container to keep the glue from drying out. 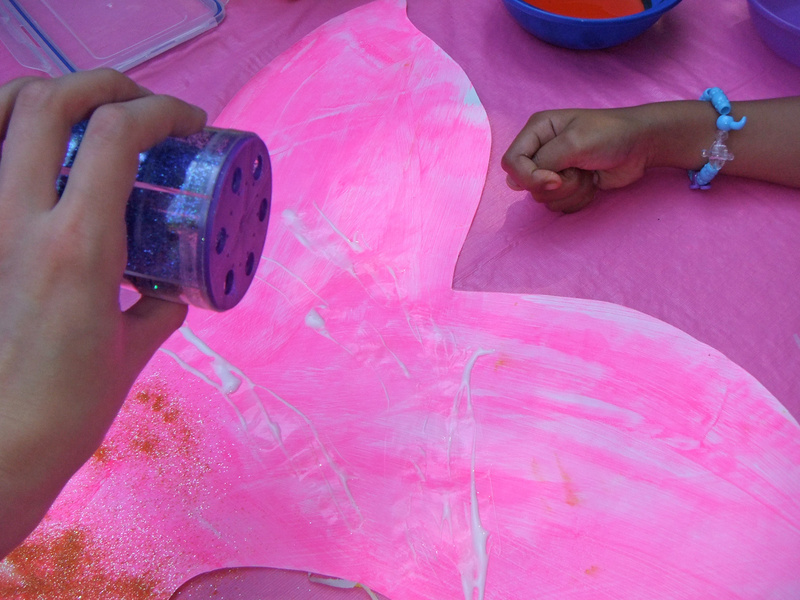 We used R5725 Goo Spreaders to scoop up the glue and spread it across the Fingerpaint Fish. 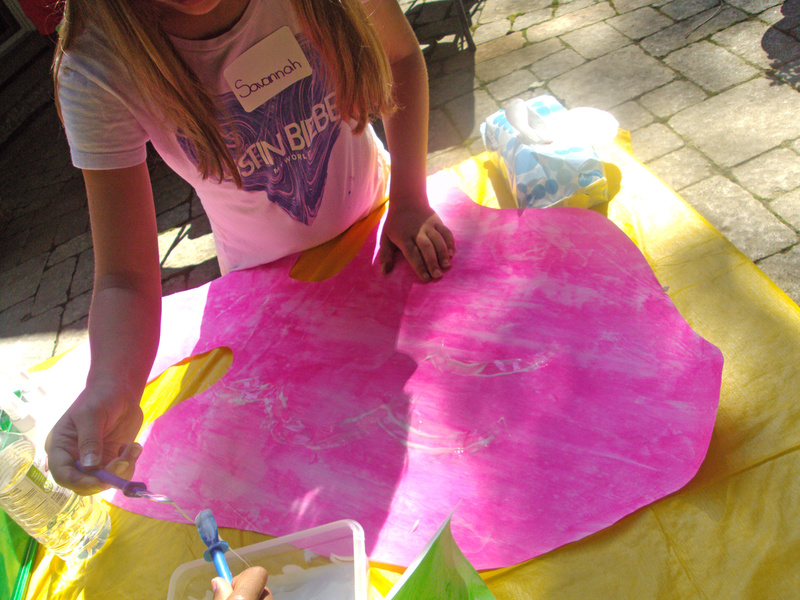 We asked our art campers to imagine they were drawing on fish scales or body patterns with the glue. Why would we paint the fish with glue? Good question! So we could add glitter! 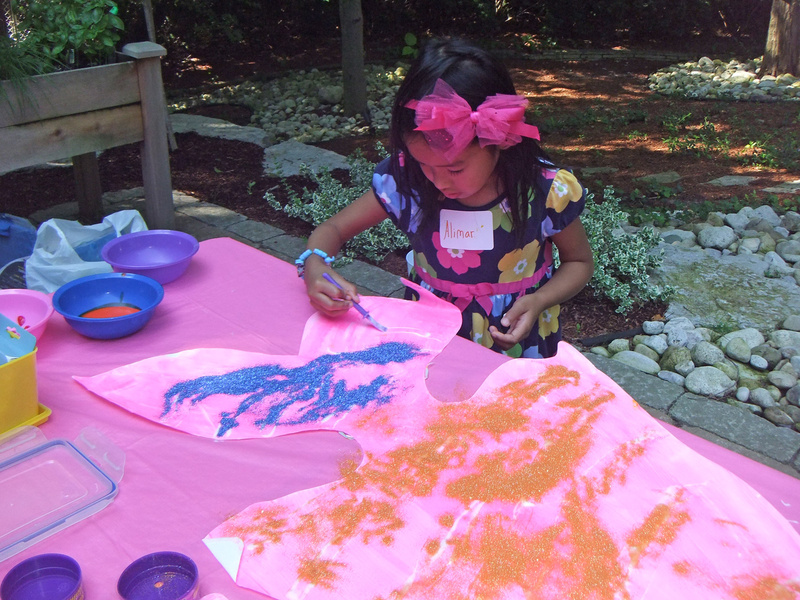 Using glitter, the fish scales become bright and colorful! After we doused the fish with glitter, we helped each other tilt the fish sideways to help the excess glitter slide off. Next, we hung up the fish to dry. What a great art project! 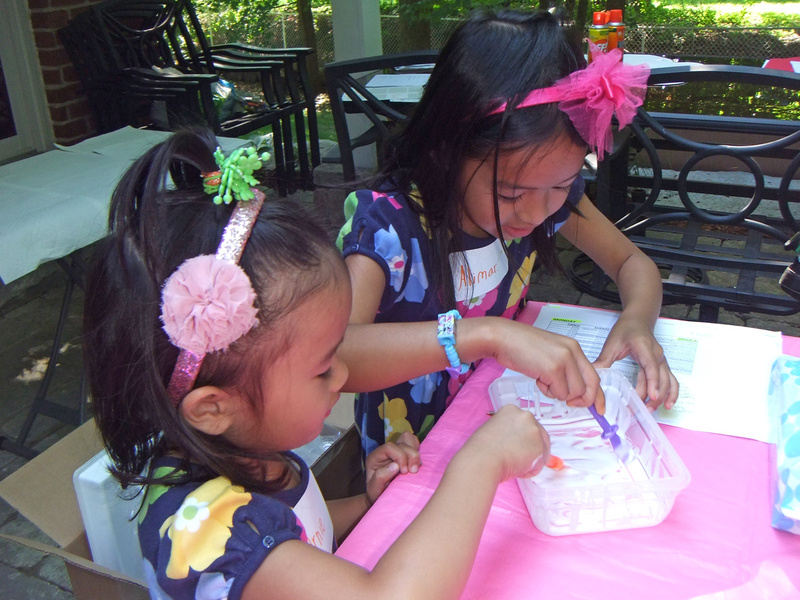 Not only did the art campers get to work on their art cooperatively, but they explored new patterns and fun techniques to decorate their fish projects. This entry was posted in Art, Crafts, New and tagged art, collage, crafts, fingerpaint, fingerpaint fish, fish, glitter, glue, goo spreaders, kids games, painting, paper by roylcoblog. Bookmark the permalink.